Sammy Hagar reflects on the release of his debut Van Halen album, “5150”, in a new video marking the project’s 33rd anniversary. 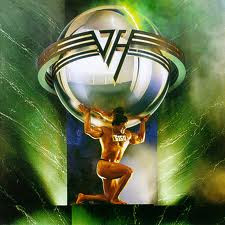 The pressure for Van Halen to follow the success of their “1984” album – which produced their only US No. 1 hit, “Jump” – was so intense that the record label pushed the lineup to change the name to Van Hagar, but they moved forward under the established banner. Following Hagar’s 1996 exit from Van Halen and his appearance on an ill-fated 2004 reunion tour, the band reunited with Roth in 2007; with new addition Wolfgang Van Halen on bass in place of ousted rocker Michael Anthony, none of the material from the Hagar era has been performed on the group’s subsequent tours. Hagar and The Circle will launch a US tour in Reno, NV on April 19 ahead of the May 10 release of their debut studio album, “Space Between”, while Van Halen continues to remain underground following a 2015 North American tour.